As we continue on in our blog series on the coach’s perspective of recruiting videos, we now move from soccer to baseball! For baseball, we had the privilege of interviewing Clint Stoy, Allen County Community College’s new head baseball coach. 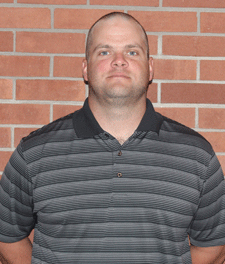 Coach Stoy has had 12 years of coaching experience, with 9 years at the Junior College level and 3 years as a Division 1 assistant. Coach Stoy begins his first year at Allen County, after coming from Iowa Western CC as an assistant and the pitching coach for the last two seasons. In those two seasons, Iowa Western had a record of 101-25, was Region XI champions both years, and was Northern District and National Champions in 2014. Under coach Stoy, the pitching staff at Iowa Western broke multiple records, a few being best team E.R.A., most appearances, most shutouts, and most strike outs. 25 players signed Division 1 Letters of Intent in those two years. Stoy says he’s excited about the challenge of bringing that level of success to Allen County, and said one of his first priorities is “changing the culture” at Allen County. Coach Stoy had one final recommendation beyond high quality video, and stressing the importance of a skills video shoot. He urged players to include complete bio information about themselves and their talents, including things such as height, weight, running times, and velocity. Different coaches have different preferences about the recruiting videos they receive, just as they have different preferences in the players they choose. But by following a college coach’s suggestions like coach Stoy’s, you can increase your chances of landing that scholarship.